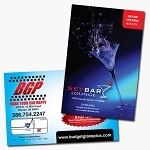 Our versatile club flyers are extremely effective at getting the ROI you need. 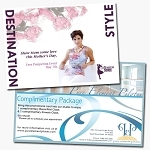 Ideal for special events, invitations, and promotions. You can choose high gloss UV coating or low gloss Aqueous coating. Our standard sizes include 3"x6", 4"x4", 4.25"x5.5" or 4"x6" and our oversize sizes include 5"x7", 4"x11", 6"x9" or 8.5x5.5".